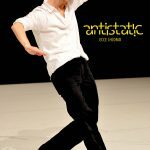 Antistatic International Festival for Contemporary Dance and Performance started in 2008 as the first festival in Sofia with this profile. It was initiated in the context of the efforts of the Balkan network for contemporary dance Nomad Dance Academy to promote and to develop this art form in the Balkan region and to make it one of the vital dance centers in Europe. In the course of the years, ANTISTATIC Festival has established itself as a platform for new forms and practices in dance and performance and till now it has presented groundbreaking works by both emerging and acknowledged international artists such as Christine De Smedt, deufert&plischke, Ester Salamon, Antonia Baehr, Ivo Dimchev, An Kaler, Sergio Matis, Eduard Gabia, Galina Borissova a.o. Parallel to the international artistic programme, ANTISTATIC Festival has hosted also the travelling educational programme Nomad Dance Academy, the platform for emerging Bulgarian dance artists Field of Potentialities and since 2012 in partnership with New Dramaturgies Platform it has been developing the platform for dance theories and practices Without Distance that encompasses a variety of workshops, lectures and talks for professional and non-professional participants and audiences. 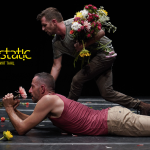 2015 Antistatic Festival hosted the International Advocacy Meeting for Contemporary Dance “Advocates of Dance” which was realized in partnership with Nomad Dance Academy Balkan Network and Life Long Burning – European Network for sustainable development of contemporary dance supported by the EU Programme of Culture. The meeting was held under the patronage of Mrs. Yordanka Fandakova – Mayor of Sofia City. ANTISTATIC Festival is organized by the dance and performance artists and producers Iva Sveshtarova, Willy Prager and Stephan A. Shtereff. It is represented by the non-for-profit organizations Brain Store Project, InformBureau and Red House Centre for Culture and Debate. The festival programme is hosted by various venues in Sofia. It has realized projects in partnership with Goethe-Institut Bulgaria, the Austrian Embassy in Sofia, the French Insitute, Belgium Embassy and other international and local institutions. Since 2011 it has been regularly part of the Cultural Calendar of the City of Sofia.